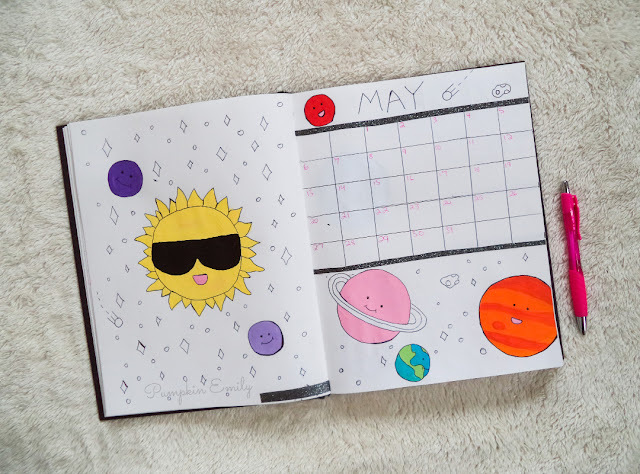 I decided to go go for a space theme for the month of May's bullet journal layout. I made a cover, a calendar, a video ideas and the first few days for a weekly spread for the bullet journal. 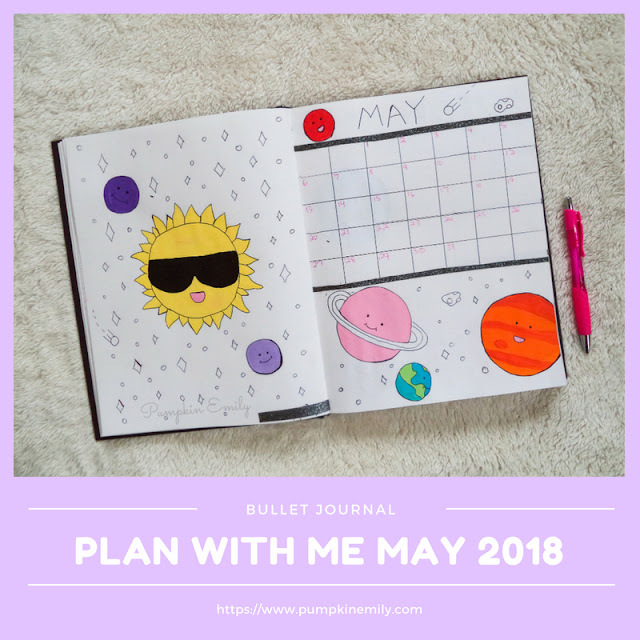 I really love how this May's plan with me came out and it's one of my favorite bullet journal ideas. 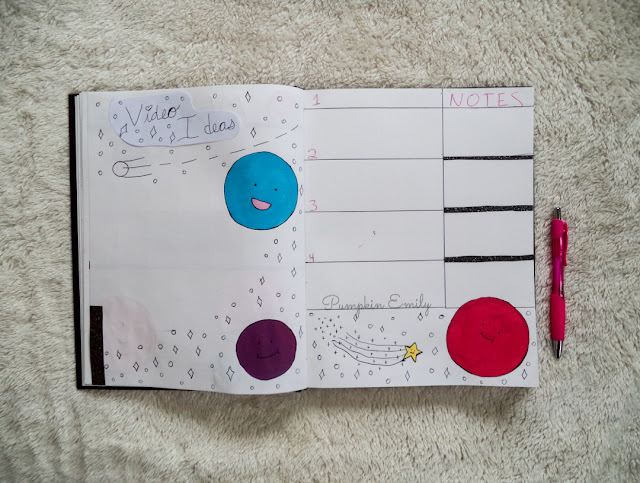 For the first two pages I made a page that has part of a solar system which is on the left and on the right page there is a calendar. I already drew the layout with pencil before filming this video. All I did for both of these pages was that I painted the sun and the planets with acrylic paint. I decided to make the planets different colors than the original planets because I wanted to have a more colorful theme with pink, purple and a few other colors. Then when the paint was dry I outlined the sun and the planets with a pen and I also drew cute faces onto them. I did make a bunch of stars and a few asteroids. I just outlined them with a pen. For the calendar all I did was that I outlined it with a pen and I wrote the numbers of each day with a pink pen. Some of the paint ended up being transferred onto parts of the pages where I didn't want the paint to be. 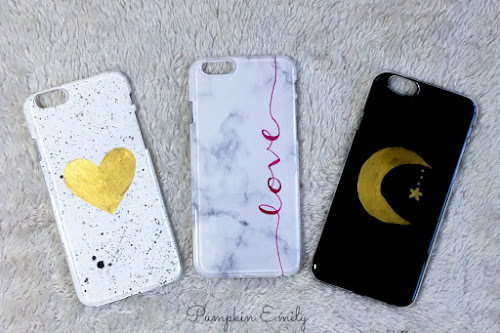 So I just covered up the paint with washi tape. For the next two pages I made a page where I could list all of my video ideas and the other page has the first four days of May. On both of these pages I did similar things as the first two pages by drawing and painting planets and stars. For the video idea page I did mess up the letters so I wrote the words onto another piece of paper and I cut around the words. Then I glued the piece of paper over what I messed up. 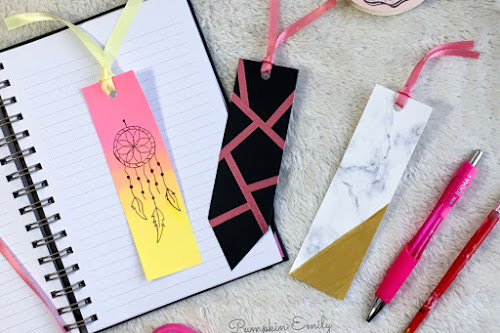 I did take some more washi tape to cover up some of the lines that I messed up and I covered up the paint that came from the calendar page. I did add a shooting star onto the page with days along with some stars and a planet. and that's it! I think these pages came out looking really cute.